In a case that has been going strong for 11 years, on Nov. 5, the U.S. Supreme Court will hear another round in an important case about state vs. federal land regulations: Sturgeon v. Frost. This case has particular significance for Alaska Native subsistence fishing, which is one reason many Alaskan Natives opposed Brett Kavanaugh’s confirmation to the high court. This is not the first time the Court has heard this case. It dates back to 2007, when non-Native Alaskan John Sturgeon, got into an entanglement with the National Parks Service when he was hunting moose using a hovercraft on Nations River in the Yukon-Charley National Preserve. This is within Alaskan national park land, and park officials told him his hovercraft violated federal regulations protecting the waters. 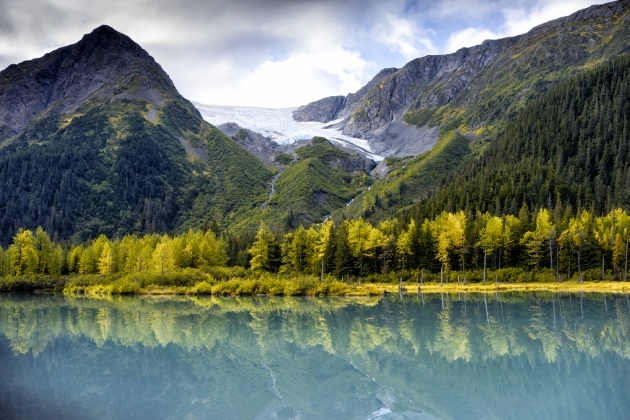 Sturgeon’s response was to evoke state-protected public access to waterways, launching a lawsuit against regional director of the National Park Service’s Alaska office, Herbert Frost. Currently, the feds have authority over the disputed waters, protecting Alaskan Native subsistence fishing rights through “rural preference.” Rural preference was established in Katie John’s long legal fight establishing Alaskan Native subsistence rights to navigable rivers. Sturgeon evoked his rights through state-based protections under the Alaska National Interest Land Conservation Act (ANILCA). If the water is “navigable,” it falls under ANILCA, not NPS regulations — Sturgeon argues. It gets complicated. ANILCA was established in 1980 to provide special protections for 157 million acres, including national monuments, wildlife refugees, forests, and parks; wild and scenic rivers; recreational and conservation areas. 43,585,000 acres of new Alaskan national parklands were created by the Act, which includes an additional 9.8 million acres to the National Wildlife Refuge System. In Sturgeon’s mind, he’s not compromising Native subsistence fishing rights by insisting he can use his hovercraft. According to one of his attorneys, Sturgeon feels his case is reconcilable with Native subsistence fishing. He worked with the Alaska Federation of Natives (AFN) and the state of Alaska to introduce legislative language in Congress that fixed ANILCA and “ratified the rural subsistence fishing preference decisions.” This settlement effort failed to pass in Congress. No one likes to be told by an outside entity — this time it’s the NPS — what they can do on public land. Remember the militia members who took over of the Malheur National Wildlife Refuge in Oregon in January 2016? Federal land regulations, upheld by entities such as the U.S. Forest Service, the Bureau of Land Management, and the National Park Service, were the issue at Malheur, as the militia members favor turning over all federally protected land to states. While the militia’s extremist views and tactics did not lend its cause credibility, many people are sympathetic toward gestures challenging federal regulatory overreach — now emblemized by the Sturgeon case. The complication? If Sturgeon wins, then navigable waters like Nation River can be subjected to public actions — like hovercrafting — that undermine river health and thus Alaskan Native subsistence fishing. Sturgeon maintains a Court decision can uphold both sides. This case couldn’t come at a more important time. Currently, the Trump administration, which now includes his recent appointment, Brett Kavanaugh, has been systematically dismantling federal environmental regulations through the Environmental Protection Agency (EPA) and the Department of Interior. Controversial moves, like opening up public land tracts for oil and gas drilling without public knowledge or comment, are receiving serious bipartisan criticism. In the Sturgeon case, we have people who frequently oppose federal overreach siding with the NPS, a federal entity, because there are already important protections in place specifically to protect Native subsistence practices. This does not mean people are generally pleased with the NPS. Examples of cases can be found on the Coalition to Protect America’s National Parks website. There’s the recent NPS proposed rule change, driven by the Department of Interior’s quest to expand outdoor recreation and improve game and habitat management, to bear hunting in Alaska. Complicated internal federal squabbles, like those between the Department of Interior, the NPS, NPS employees and concerned citizens, further reveal the Sturgeon case has far-reaching practical and symbolic significance. Here, a ruling in favor of states’ rights and Sturgeon will satisfy Trump’s environmental deregulation agenda that favors big game/sporting and energy industries. However, in other cases, like California’s water wars, Trump has no problem stepping in to federally regulate the state’s regional water projects. A decision on the Sturgeon case is expected sometime in June 2019. Given how fast Trump’s moving to dismantle longstanding environmental regulations, much can happen between now and then.